We’re still waiting for Samsung to sort out their Galaxy S III launch announcement schedule, especially considering it’s not coming this week at Mobile World Congress. In the meantime, we’re getting word of some new specs courtesy of BGR, citing a “trust source” that the Galaxy S III will release in over 50 “markets” or “cities” simultaneously. That’s the first part of this story, the second part is the real meat of the BGR leak is that we’ll be seeing an oversized display measuring 4.8″. While BGR wasn’t told the type of display, earlier rumors have pointed to something with a ridiculous name along the lines of Super AMOLED Plus HD. That’s a mouthful. The BGR rumor mill continues with the idea that the entire back of the upcoming Galaxy S III will be ceramic, and not the cheap, glossy plastic we got accustomed to with the Galaxy S II. 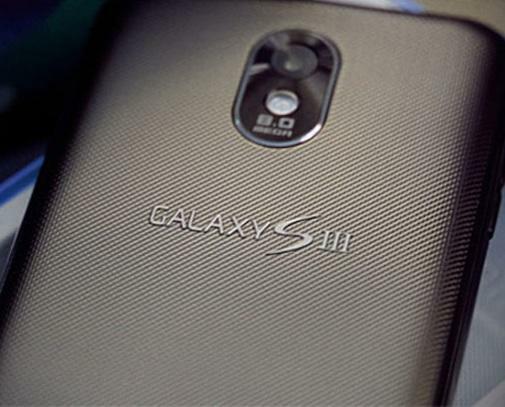 Other specs rumored for the Galaxy S III still include 4G LTE, Android 4.0, a quad-core processor and more. The Galaxy release time is usually around April in Korea. US as usual will be last by November/December due to the different configurations required by all 4 wireless companies. Having just bought a SGS2 in December, I am not at all interested in SGS3. But iPhone 5, that will be worth considering if T-mobile offers it. You better get ready to buy an unlocked iphone 5 because tmobile can’t afford to subsidize it right now. They need all of their money for the lte upgrade. I hate phones with skins but I may finally cave. It’s not so much that T-Mo CAN’T afford to pick up the iPhone, as it is that Apple is a pain in the as$ to deal with. I just read an article last week about how ATT, VZW, etc… actually lose money because of what it costs them to buy iPhones and them subsidize them. Apple is brutal and as much as T-Mobile does want to have the iPhone, they also don’t want to become just another of Apple’s bitche$. Adios, see ya, don’t let the door knob hit you on the way out. We won’t miss you. I’ve been with tmobile 10 years and have no intentions of leaving just for a stupid iphone. My contract ends on 04/09/12 and I’ll be able to extend and upgrade soon.. should I get a SGSII or wait for the SGSIII? Will it be worth waiting?? I’m very impatient! Upgrade to the Galaxy S II with the Value plan. You can upgrade to the Galaxy S II on a Value plan right now if you call in, I believe. If you have six months or less on your contract, you can switch to the Value plan without penalty. Then you’re no longer bound to specific upgrade dates. When the Galaxy S III comes out at the end of the year, you can upgrade then. The problem with that plan is that unless they are paying full price for the GSII they will most likely still be on an installment plan when the GSIII comes out. In order to set up another installment plan they would have to pay off the first phone and then pay the up front cost for the new phone at the same time. I wouldn’t do that. I dunno, don’t you guys think that screen size is too big? I’m actually content with galaxy s 2 screen size. I think that’s sufficient.. Nah..If we are talking about on screen buttons like on my Galaxy Nexus, its a nice size. In my opinion, once you start going into Galaxy Note territory; that’s too big. The Galaxy Nexus feels perfect in the hand though. You do make a valid point, still I’d like to see what it will look like once its officially released. My HD7 with it’s 4.3 screen pushes the limit and it’s bulky. Why ceramic? That stuff is extremely brittle! Probably used because it’s one of the best materials for heat dissipation. If the screen is super amoled hd and is really a 4.8inch, it’s gonna be a warm running device. not necessarily there are different types of ceramic that are as strong as the hard plastic that Sammy uses. Plus Ferrari, lambo’s, masserati and other super high end carmakers wouldn’t use the stuff for their brakes if it was brittle. It’s not a knife lol! I’m am actually impressed with this device so far. If everything is true… I might actually consider dumping HTC for it. I root my phones so I don’t care about Samsung’s skins or lack of OTAs. This might be my first non qwerty Android. I hope the G3 is out by Q3 so I can decide then. I am actually leaning towards this one maybe. could this be the rumored high end samsung phone tmobile is getting instead of the nexus? I would like to know where dave got the rumor of a nexus q3 release. I still prefer the nexus though…any how I will still wait it out with my g2. As of now i have ice cream (go launcher theme) to keep me happy. I personally feel like a 4.8 inch phone is waay to big. Samsung is entering in Note territory. I personally feel like 4.5 inches to 4.6 is perfect/pushing the limit. phones are turning into tablets now. You might as well call them Phablets. No it is not. Don’t fool yourself into thinking it is. Still waiting for ICS for my GS2. Come on guys, let’s get it together! Or you can stop waiting and go learn to program it yourself. Oh wait, you’d rather XDA do that for you too. I bought my SGS2 after making sure that Samsung had promised it would receive an update to ICS. That was supposed to have happened by now. But if you feel like being a racist bigot, go right ahead and keep spewing your hatred. Basically that wasn’t just directed at you, it’s directed at all the Android Fanboys that demand updates like it’s owed to them. And how much open source software have *you* written? I happen to be the lead developer of a major project. I *do* give back to the community. You, on the other hand, are a racist pig and should have your internet access cut off. Woah, let’s hold on for a minute. I’m looking but don’t see any racist comments here? Please point them out to me so I can swiftly remove them. Whenever anyone disagrees with you, you can call them a racist, regardless of what the topic actually is. This tactic works great for the Democrats so I use it too. Although not necessarily a democrat, I have democrat friends who do not use the tactic you have mentioned. With all due respect (if any), it is a foolish thing to accuse someone of racism because that someone disagrees with you in any way. Otherwise, Wilma would have every right to accuse you of racism as well. And well, these non-sensical conversations just don’t go anywhere. That’s enough, honestly, the next move is to make it so neither of you can comment. Samsung burns their customers by not fixing update delivery and killing off phones early from upgrade cycles. There are such things as customers’ expectations. However, a company can choose to meet them. When they don’t, customers happily take business elsewhere. That’s the beauty of this free market. I thought Samsung killed off the GSII from the ICS upgrade cycle. To be honest, all I know is that they announced they will not include existing Galaxy Tab line and Galaxy S line phones in the upgrade cycle. Regardless its still a Samsung. just get a 7inch tablet and use it as a phone, at this rate, you might as well. I am personally very happy with the Amaze 4g. This phone is a beast and the built quality is top notch. While the Samsungs do have some of the nicest screens I don’t think they touch HTC in built quality. I guess we shall see with the Samsung Galaxy S 3. Until then though I can’t ask for much more in a phone. This one should satisfy me for awhile… especially since it’s getting ICS hopefully soon. Here come the haters, lol. Let us all read about what you don’t like and what they should do before it comes out. Even though you are not gonna buy it, lol. Okay, 4.5″ was pushing it but 4.8″ is definitely to big for every day use. I can see the advantages of bigger screen in multimedia application but feel it would too cumbersome in everyday use. I personally think it would be great, has anyone seen the Samsung Galaxy Player 5.0 its size is pretty neat and it doesnt seem to big. So a 4.8″ screen is not bad. Have the GS2 since Oct and this phone is good for some time yet. No plans on upgrading from a phone that does the same as the GS2 already does from the Vibrant this was a worthy upgrade. When ICS comes it comes, again not a big deal and that will be a little upgrade to look foward to on an already excellent device. If you just bought the GS2 you made a wise decision. I can see this over-sized screen thing getting really out of hand in the near future. 4″ – 4.5″ is probably the most ergonomically functional for the average human being. How can you even handle this with one hand at all? Maybe its just rumor, but it’s probably going to happen which should be interesting. That’s not a ridiculous name for the display at all. In fact if it is indeed accurate, it’s very good news.If it is Super Amoled Plus HD, that would mean 1280X720, Super Amoled, and NO PENTILE (i.e. an RGB) display. This would make it the ultimate HD Amoled screen and better than the Pentile Galaxy Nexus. why are people complaining about 4.8in screens when the phone size is smaller than the current gn or gs2? I’m sure it will be an amazing phone, but the huge screen it’s seemingly going to have is a bit of a turn off. I hope by next December when I’m due for an upgrade from my Nexus S, there’ll be something in the 4″ screen size with the specs I want. 4″ has become midrange. Just the realities of the market. Your best bet at 4″ is the Galaxy S Blaze. It has most of the SII’s specs. They’re not releasing really high end 4″ phones first or even at all anymore. I mean the Note is selling well internationally, and the S-II is killing it as far as sales, that’s the best market indicator you can get that like it or not, big is in. The Note is stupid! Why do you people keep crying about it?! It has a f*cking slylus! Whoa! So 1999… shut up already! It’s getting as annoying as the iphone fanboys. Don’t be so emotional. I have no personal attachment to it. My point is simply that it is selling well internationally. You’re definitely right about big being in. Maybe if they made a smaller screen size with amazing specs it would sell just the same. Apple still rocks the little 3.5″ and we all know how well they fly off the shelves. I guess in the long run I’d just like to have options.. I have to admit the size of the blaze with the duel core is a might bit appealing, but my NS has been rocking Ice cream sandwich for over a month now. I don’t think I could go back to GB. I’m banking on the Nexus 3 or whatever it’ll called to suit my needs. Don’t let me down Google!.. Peace. That will happen (reduction in bezel size, overall size). Because Samsung has AMOLED and AMOLED leads to far thinner phones, and they are reaching the theoretical maximums of thinness as far as depth goes. About 7-8 mm will be it, because these things still need batteries. The next place of competition will be overall size reduction, reducing the bezels, removing the buttons (as you see Ice Cream Sandwich too). Eventually we’ll get all screen (or mostly screen because we might need a handle as far as usability to hold it). I hear ya , my HD7 with a 4.3 screen pushes the limit for me. Yeah, I look at the TV’s back in the day and realize I never had to hold them in my hand. lol Some people are okay with the 4″- 4.3″ phones. It’s their preference adjusting with the times have nothing to do with it. LOL! There is no way we are getting a model this nice! We’ll end up getting a cheaper made, plastic-backed variant called the Blaze II hahaha! Same goes with the new HTC One series. We get stuck with lowest model crap. The One S is just a cheap model comparied V and X models. Tmobile screws us again and no one even notices! For the Galaxy S high end line, T-Mobile has always gotten the top specs. Always matches the international version, if not better. The only potential downside to the S-II was the Qualcomm 1.5 and they had no choice but to use it because we needed a dual channel 42Mbps chipset. Infact we got a larger screen on our model, and the Snapdragon seems to run close to as fast as the international version. But T-Mobile has never received lower versions of the Samsung flagship. Yeah, the processor got downgraded because of our weirdo network, again. I’d be okay with an S4 or something similar though since they are as good as Tegra 3s. I guess we’ll see since no one knows much about quadcores. They sound like a mistake and a battery drain to me. That’s why the S4 is gonna rock with power reduction and all. I don’t think our network is weird, and increasingly it’s not out of the ordinary. HSPA+ and dual channel HSPA+ will be standard on all new chipsets this year. Samsung is always a little behind on the antenna chips, that’s why the AT&T American Galaxy Note has a Qualcomm processor to the support the LTE while the international version has the Exynos. Qualcomm does chipsets well. It’s their strength. The one they are releasing this year is pretty killer. Supports LTE, HSPA+, EVDO, etc etc with lower power requirements than last year. And I’m not too unhappy with T-Mobile’s seeming pact to release all flagships with Qualcomm, especially with this year’s new Qualcomm processors. The S4 is damn good (it has some ARM A15 capabilities), and even with only one step up Adreno 225 graphics it’s fast, with Adreno 300 later this year it’ll be even faster. I guess so… good points! With the S4, Qualcomm has shown that it can keep up with the newer heavy hitters coming out so as long as it’s the same class, we can rest easy! This MIGHT be my first Sammy if T-Mobile doesn’t alter it badly. 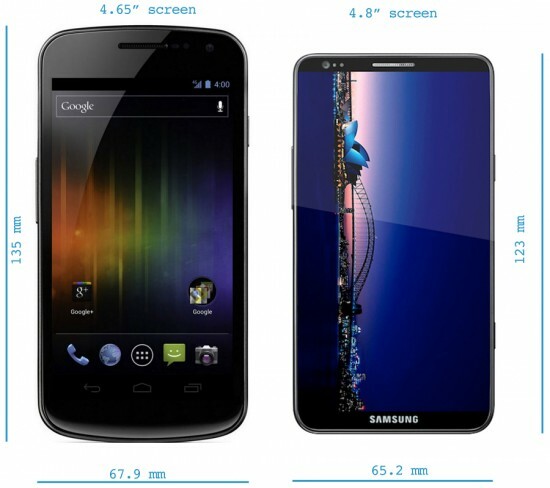 I will have to compare it with the G3 (which should be around Q3 if it is made or exists lol! Does that not happen alot though? I’m starting to think that now companies see Tmo as a cheap way to introduce their brands to the mainstream market and then when their brands take off, they ditch Tmo. If you dont like tmoible leave. They have good and bad phones so shut up. That’s why many people in the know said T-Mobiles version of the GS2 was the best executed. I know you hate T-Mobile but c’mon! Say hi to Randall when you get to work tomorrow. Just thought about it, by the time this comes out, Jellybean will most likely be out. Well the HTC One X has just confirmed LTE. Means another phone that Tmobile will miss this year. Can’t wait til Tmo gets LTE. It can only help the situation. 4.8″ is perfect. I played around with the note last week and felt it was slightly too big. This will be awesome when it hits Magenta. I’m getting it, no questions asked! Yeeeessss! im with ya! cant wait! i love how Samsung always adds some extra word to their AMOLED screen. Before it was Super Amoled, then Super Amoled Plus, and now its Super Amoled Plus HD. Next is the the Super Amoled Plus HD 3D, and so on. It’s supposed to have a 1080p display. Sorry; Samsung has burned me as a customer too many times for me to give them back any loyalty. The HTC looks very promising! that new HTC phone looks like crap. This sounds great but expensive. All galaxy devices never fail my expectations so i think this one will also become popular like other galaxy devices. I can’t wait for this. Any news that is coming to Verizon?